Home » about:blank » Bacon flavour or mushroom flavour ice cream? 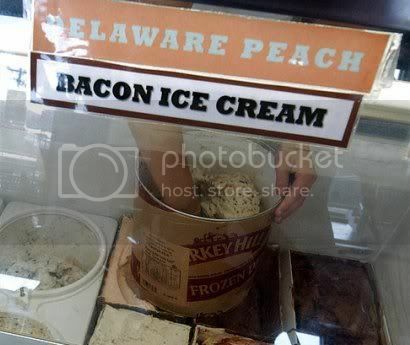 Bacon flavour or mushroom flavour ice cream? Udder Delight Ice Cream House in Delaware, US serves up some strange flavours including peanut butter and jelly, pear/green tea, Cackalacky Spice flavour, keylime pie, cappaccino stout beer and the new BBQ Bacon. Their Peanutbutter and Jelly icecream won the World Series of Ice Cream 2 years ago. High everybody this icecream looks great i would go gay and have buttsex with it. thats nice. Im not sure i would go that far but thanks for your comment!